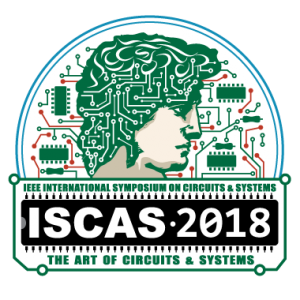 The paper “Ultra-Low Swing CMOS Transceiver for 2.5-D Integrated Systems” by Przemyslaw Mroszczyk and Vasilis F. Pavlidis from ExaNoDe partner University of Manchester was accepted for the ISCAS 2018 conference. Inverter-based CMOS circuits are often considered in the front-end modules for optical and wireline communication, A-D conversion, and analogue computation. Due to parameter variability (mismatch), the performance of such circuits is usually degraded. This paper presents a mismatch compensation technique employing a set of redundant switches to trim the switching threshold of inverter-based CMOS circuits. Over 10× better parameter matching is observed at no additional energy cost or significant gate area increase, compared to “traditional” geometry scaling. The efficiency of the mismatch compensation is investigated across a broad design space considering the number and size of the switches, and the size of the inverter, using models from a 65 nm CMOS technology. The case study of a comparator circuit is further investigated in terms of the reliability, energy, and area, and compared against the geometry scaling approach.